We are only 4 weeks away from the 7th annual #TL5K! If you would like to donate or help by becoming a fundraiser, visit our #TL5K site! As strange as it may seem, that is somewhat of a goal for Teen Lifeline Support Groups. 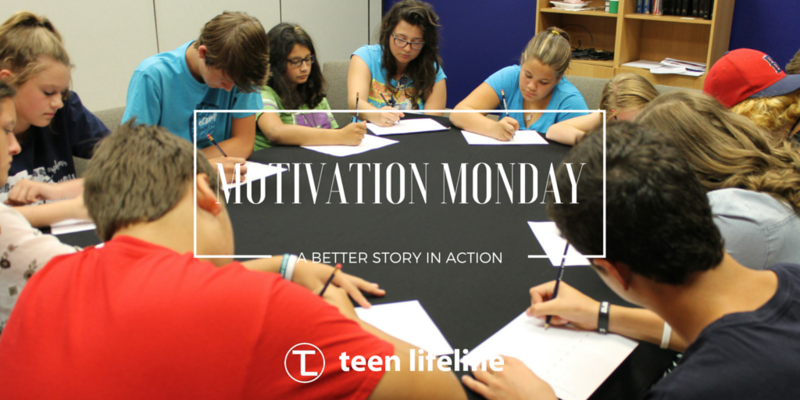 Our job is to equip, encourage and empower these students to live life better and succeed outside of the group time. Maybe this means that they think about consequences before acting, surround themselves with better friends, deal with stress in a healthy way or find a trustworthy adult to confide in. We love hearing stories of past students who have moved on, grown up and chosen to live life better. Austin O’Neal is one of these students, and his story hits close to home for me because I remember hearing it back in High School when we both participated in a Teen Lifeline Support Group. Austin has chosen to live a different story and encourage others because of his own experiences. I hope you’ll take a few minutes to listen to Austin’s story and how he is living out his “better life”!